Honeyman Group Ltd today received the Queen’s Award for Innovation, for HydroGienic®, its patented pharmaceutical water storage and distribution system. The award for outstanding achievement recognises the contribution to industry the business has made among UK entrepreneurs and companies and is the highest accolade a British business can receive. 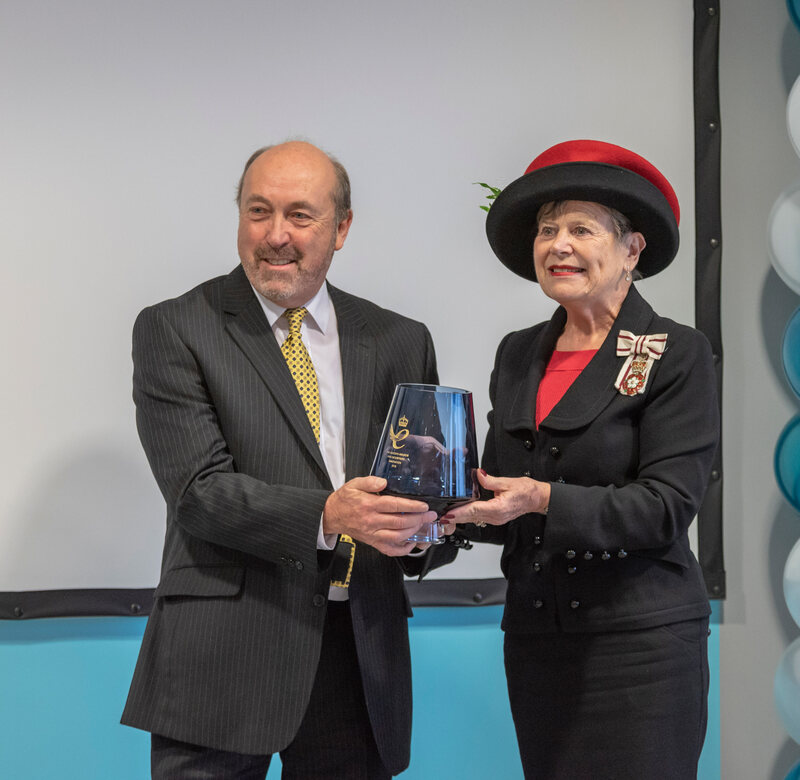 The formal presentation of the Queen’s Award Certificate and Crystal Chalice marked a twenty-seven year professional milestone for Trevor Honeyman, Group Chairman. As the inventor of HydroGienic® and the entrepreneur behind the business formation, Trevor shared with assembled guests the challenges and tribulations that have taken this new concept through the highly regulated Pharmaceutical Industry. Tom Honeyman, Managing Director, concluding proceedings said, “Receiving this Award has brought significant positive benefits for the company including an increase in orders for the system. We continue to invest in the expansion of our manufacturing capacity, facilities and people. As world-wide interest has grown coverage from international industry publications, including Manufacturing Chemist and Cleanroom Technology, has led to a second innovation award just a month after the first."